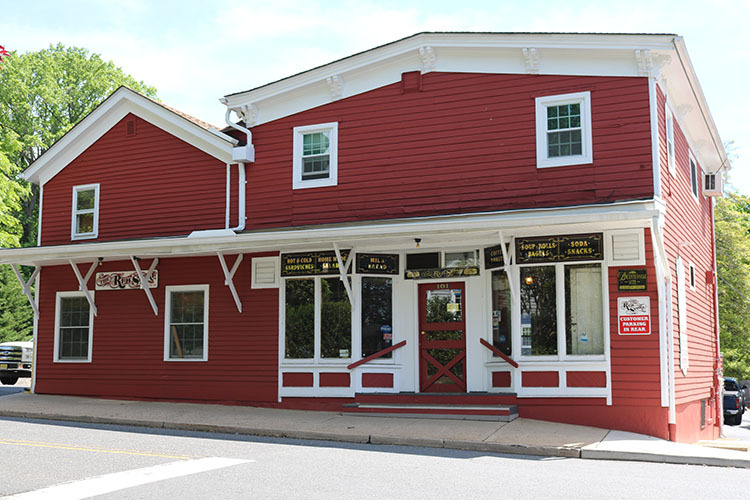 Welcome to Big Mike’s Little Red Store, in the landmark Navesink red building, which has fed locals for over 130 years. We have a chef-driven deli menu offering grab-and-go breakfast, craft sandwiches, innovative salads, protein bowls, and a meal to take home at night. We’re dishing out creative twists on the classics you crave. All made with the freshest, locally sourced ingredients available. It’s going to remain a neighborhood place, with a loyalty to the past, where we greet our regulars and are committed to making really delicious food for everyone. At Big Mike's Little Red Store innovation and tradition are not mutually exclusive. We're serving the classics along with killer, creative sandwich combinations, crisp salads, savory breakfasts, and seasonally updated specials. My culinary career started around pizzerias and delis and it’s something I always thought I would get back to. I graduated from Johnson and Wales University and joined the Restaurant Nicholas family in 2005, rotating between each of the restaurants six stations for the next three years. I honed my culinary skills at the Lawrenceville Inn, Hotel Griffou in NYC and served as the Executive Chef at both Giovannis Bistro in Berkeley Heights, NJ and Eno Terra. Coming back to Restaurant Nicholas in 2015 as the Chef de Cuisine. The Red Store is a perfect fit, and a great opportunity to keep an iconic spot going.